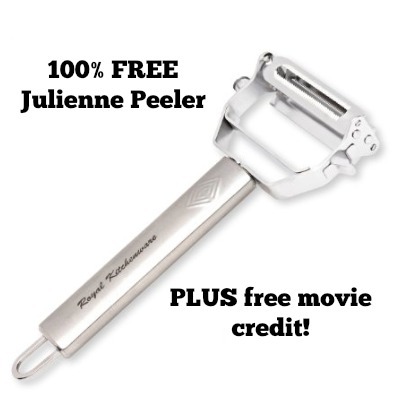 FREE Julienne Peeler plus free movie credit! 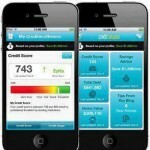 You are here: Home / freebies / FREE Julienne Peeler plus free movie credit! 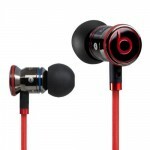 Here’s an AWESOME deal for you! Right now, you can grab a FREE Julienne Peeler! Use it for zucchini, carrots, potatoes, and more! If you’ve been a reader for any length of time, you know I have a bit of an Amazon addiction. I try to “feed” that addiction by earning gift cards to pay for the things I’m buying. So, when an offer comes along that’s 100% completely, no strings attached free, I get a little excited. I may or may not be doing a happy dance in the comfort of my own home right now. 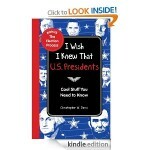 Enter the code EBQY48QK at check-out and this will be completely FREE for you! Create an incredible assortment of healthy dishes. 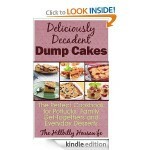 Great for vegetarians, vegans, people on low carb diets or anyone following a paleo or primal diet. Ultra Sharp Stainless Steel Blades that glide through any food and gives you professional results every time. Easy to clean and dishwasher safe. Great For: Zucchini, Carrots, Potatoes, Sweet Potatoes, Butternut Squash, Cucumbers, Apples, Parsnips, Cabbage, and more. Slice cheese, peel citrus, the possibilities are virtually endless. Get started making delicious healthy recipes today. 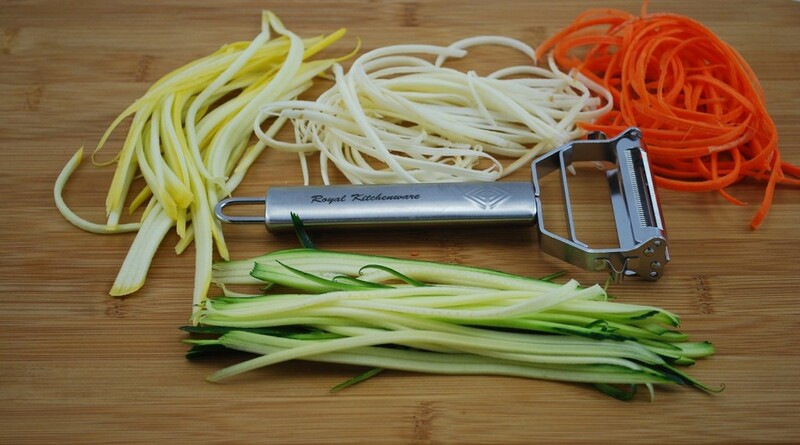 Order you new Royal Kitchenware Julienne Peeler Now! 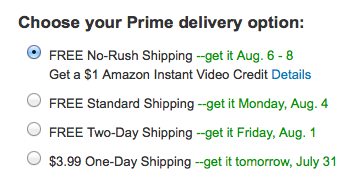 If you’ve got Amazon Prime, it’s even better because it will ship for free! 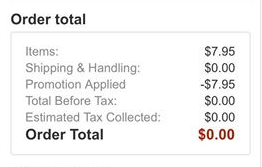 AND, if you choose the “cheapie” shipping instead of the 2 days shipping, you’ll even get a $1 Amazon Instant Video credit! If you don’t have Amazon Prime, you can either do the free trial for 30 days (only valid if you haven’t don’t it before), you can pay the shipping (since I have Prime, I’m not sure how much it is), or you can spend $35 and take advantage of some of the other Amazon deals that Amazon has to offer and get everything shipped for free! NOTE: I have NO idea how long this will work for. Probably not long. 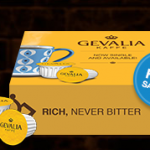 Grab it while you can!! 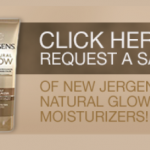 *If you make purchases using the links in this post, I may be compensated.